It’s the first day of winter! This means two things in this seasonal and ever-changing floral world. First, it means some of my favorite flowers are about to be in season in the coming months…lilac, sweet peas, hellebores, and more. 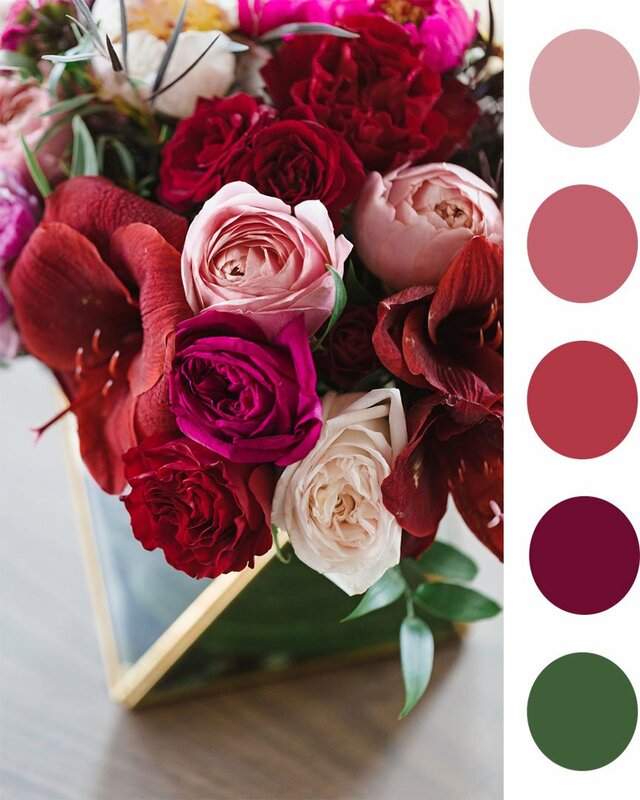 Second, it means being creative with color palettes to give them a winter feel. 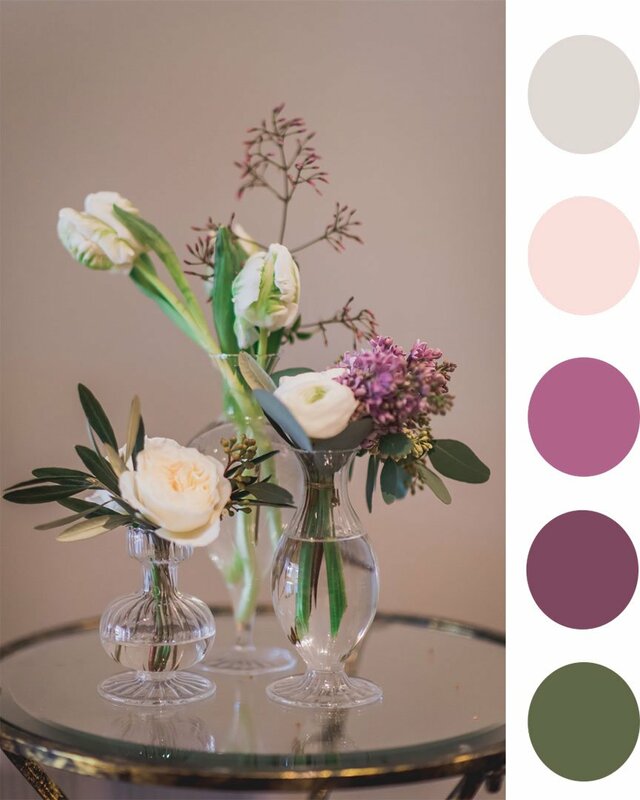 As our winter wedding season almost takes off, we’ve put together a few color palettes we are using this season for inspiration! 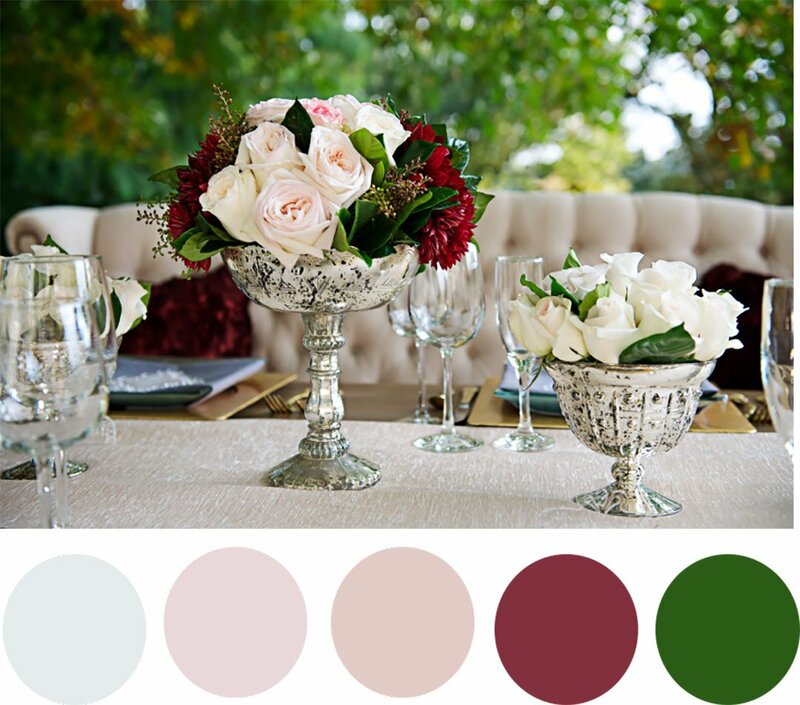 This time of year brings such fabulous floral options and directions you can take with your design and color ideas. Traditionally, people think of clean and white for the winter…but, in fact, the options of colors are so plentiful that there is a perfect winter color palette for every couple (whether they want to shake it up or stick with tradition). You can never go wrong with sticking to the traditional whites, creams, and pops of red and soft pinks, its a design that hasn’t and won’t go out of style. You can also take this design in the opposite direction with lush florals of various shades of pinks, fuchsias, reds, and purples, with touches of creams and ivories. 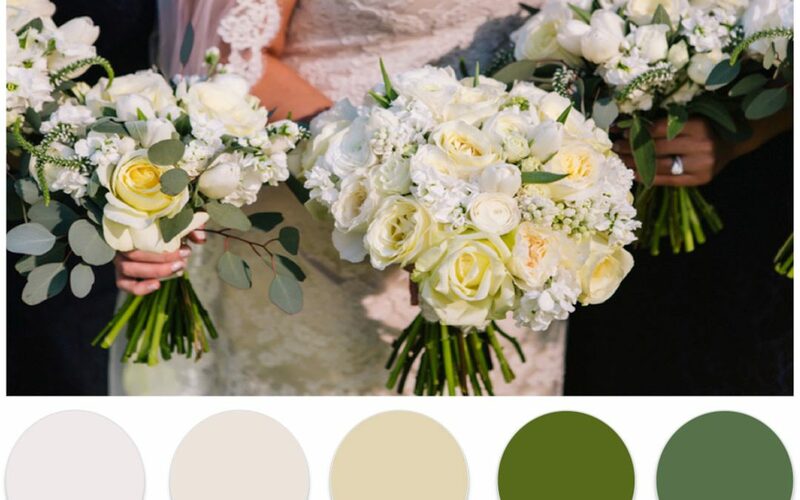 Our third color palette, which might be our favorite because we’re huge fans of soft shades of purple, is a cool look of greys, cream, ivory, and various shades of greenery.